Amazon, eBay and Etsy have joined big retailers in removing Confederate flags and related items from their sites, in moves responding to increased vitriol over the symbol after a shooting last week at an African-American church in South Carolina. 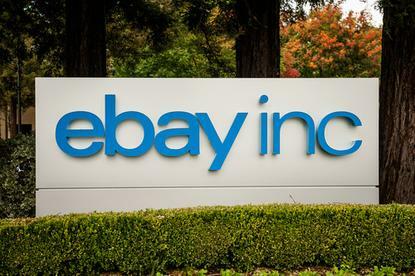 EBay, in an announcement on Tuesday, said it would prohibit the sale of items containing the image of the Confederate flag, because it has become "a contemporary symbol of divisiveness and racism." The decision aligns with the company's longstanding policy that prohibits items that promote hatred, violence or racial intolerance, the company said. Amazon will also pull Confederate flag merchandise from its site, a spokesman said. On Tuesday Amazon displayed more than 28,000 results for a search for "confederate flag," including clothing, hats and cigarette lighters with the symbol. Etsy, which operates a popular marketplace for handcrafted items, also said it would remove Confederate flag items from its site, Wired reported. The company did not immediately respond to comment. Since the massacre last Wednesday, which left nine African-American churchgoers dead, images have circulated of the suspected shooter holding a gun and the Confederate flag. The companies' changes come after many people have taken to social media to call for the Confederate flag to be taken down from public places and store shelves. Other major retailers have announced plans to remove Confederate flags and items bearing its symbol from their inventories. Walmart, on Monday, said it would take steps to remove all items promoting the Confederate flag from its physical stores and its website. "We never want to offend anyone with the products that we offer," a Walmart spokesman said. Sears Holdings, which owns the Sears and Kmart brands, said it was in the process of removing Confederate flag merchandise from its bricks-and-mortar and online stores and items sold by third-party merchants from its Sears Marketplace website. "This is a prudent step we take as we seek to avoid offending our members," a Sears Holdings spokesman said. Confederate flag merchandise can also be found on Craigslist. The company did not immediately respond to say whether it would be changing its rules. On Tuesday, South Carolina lawmakers agreed to have a debate on whether the flag should be removed from flying on the state's Capitol grounds. South Carolina Governor Nikki Haley has called on the state to remove the flag.